For all of you engaged gals, we’re excited to share a special event happening tomorrow! No Regrets has teamed up with local vendors to host a fabulous Brides-to-be Party tomorrow, Tuesday, August 19th, from 5 to 7:30 pm at their beautiful store in Casady Square (9219 North Pennsylvania Avenue, Oklahoma City). Join Brown Egg Bakery, Gingersnaps, Leslie Herring Events, Mood Party Rentals, New Leaf Florist and Brides of Oklahoma for an evening of fun, food an prizes! Door prizes will be drawn throughout the evening and include a customized wedding ornament, wedding stationery, 2 bouquets/arrangements from New Leaf Florist, Coton Colors Happy Every plate with wedding attachments, 50 water bottle labels and a donation from Leslie Herring Events. 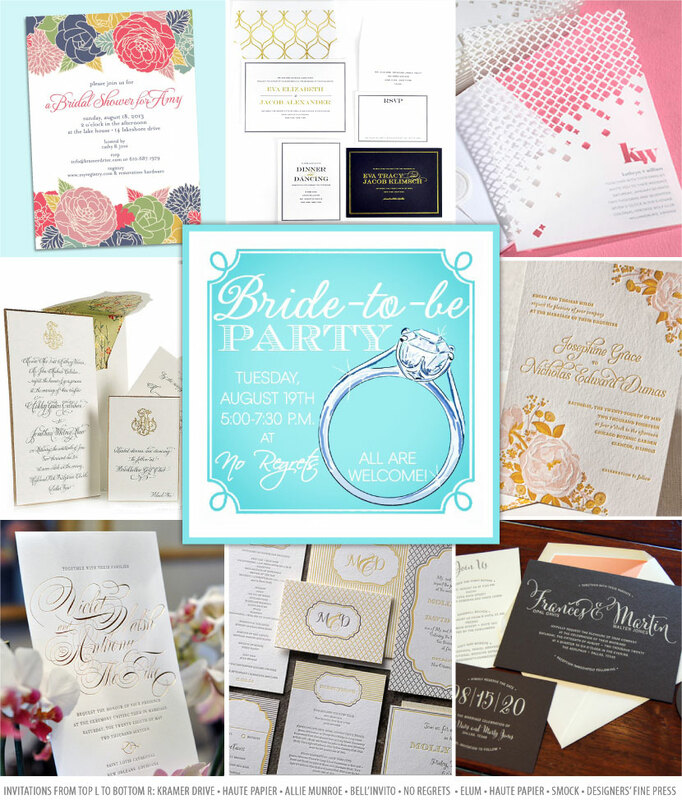 And as an added bonus, August is bridal month at No Regrets — receive 20% off wedding invitations and save the dates! Cheers!